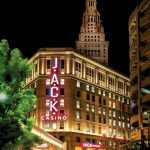 To rebrand four casinos in Ohio and Detroit, JACK Entertainment LLC called on Gable to get the job done. 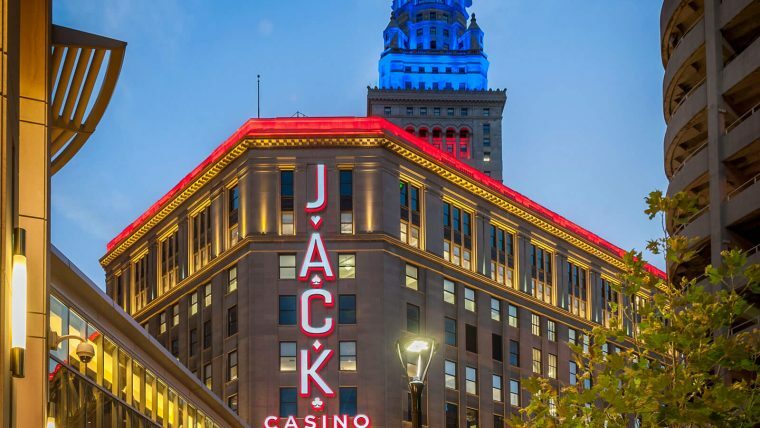 In 2015, JACK Entertainment assumed full ownership of three casinos in Ohio, including Horseshoe Cleveland, Horseshoe Cincinnati and ThistleDown Racino. 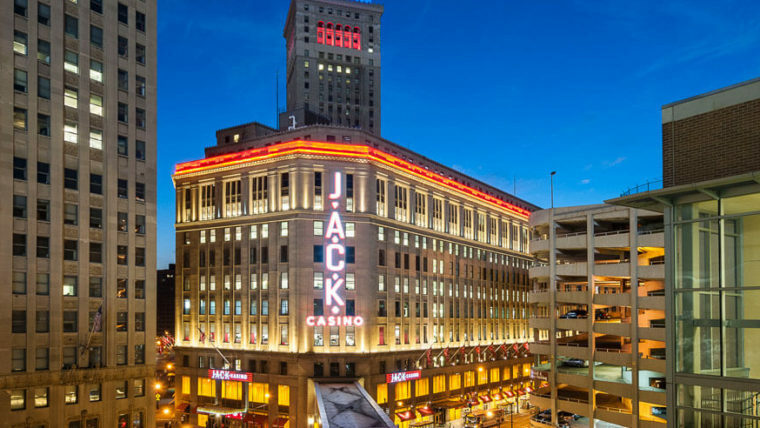 JACK also acquired full ownership of the Greektown Casino in Detroit. 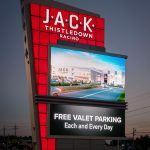 As JACK began making plans to rebrand each of the four properties – a job that would require significant changes in signage, casino décor and more — the company turned to Gable. With experience opening entertainment venues throughout the country, Gable has helped start success stories in places like Florida, Baltimore and Pennsylvania. 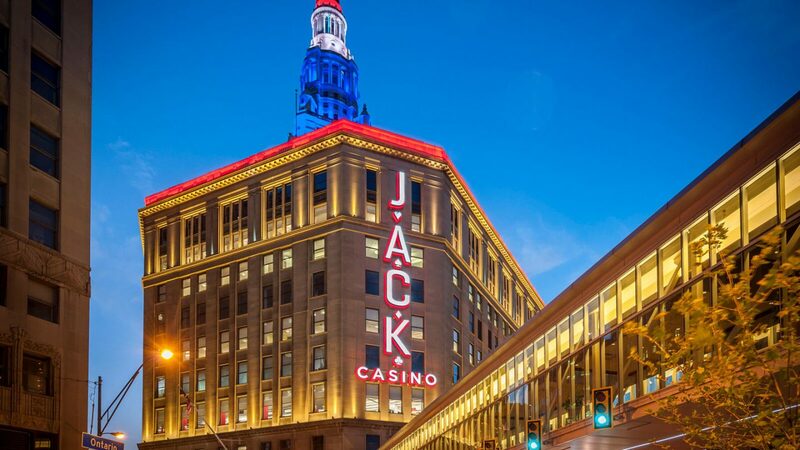 JACK turned to Gable because the two companies worked together to open Horseshoe Cincinnati, when JACK held a minority stake in the casino, in 2012. After taking control of all four casinos, JACK announced plans to rebrand and set a deadline to complete an operational transition, along brand changes at all four properties, by the end of 2016. The casinos would be named JACK ThistleDown Racino. 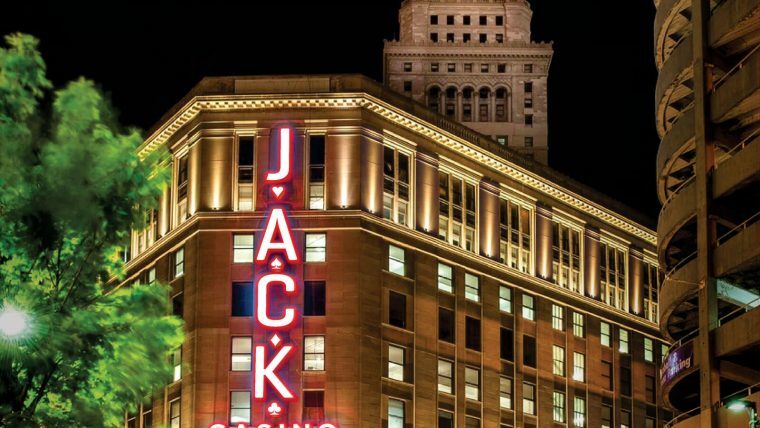 JACK Cleveland Casino, JACK Cincinnati Casino and JACK Detroit Casino-Hotel Greektown. Beginning in December 2015, Gable sent teams to each of the locations and quickly became heavily involved in every step of the rebranding process, including design, engineering, prototyping, permitting and logistics. As part of its work, Gable led efforts to design and install primary identity signs at all four locations. 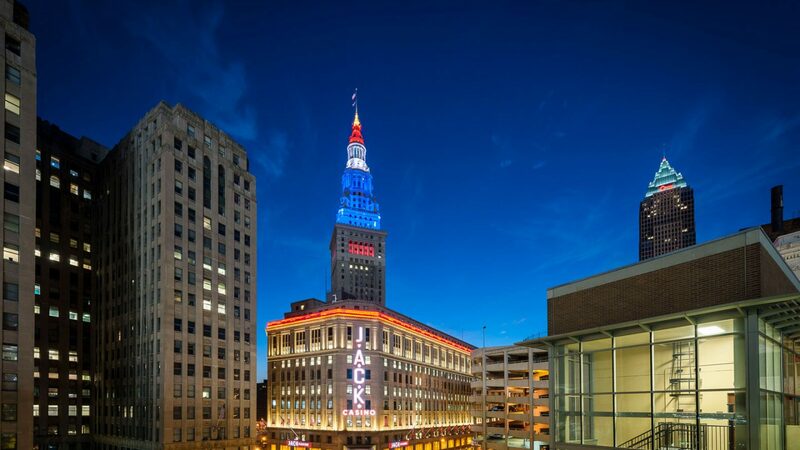 At JACK Cleveland Casino alone, the rebrand included changing more than 200 signs. JACK also turned to Gable for visual communications and solutions. Gable was called on to deliver engaging visual solutions at all four casinos. 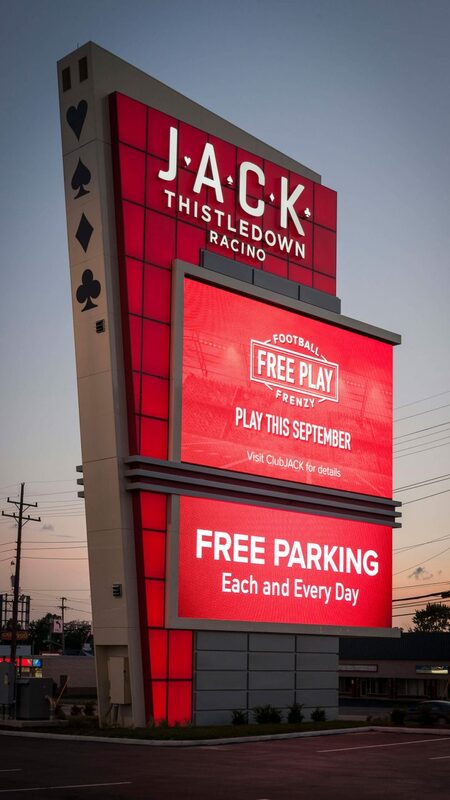 At the JACK ThistleDown Racino in North Randall, Ohio, for example, Gable designed and installed an 1,800-square-foot, 60-foot free-standing pylon display. The structure includes 900-square-feet of digital video displays, grabbing the attention of any gambler who can see it. 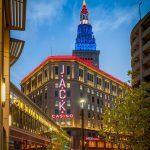 In June, JACK will complete the rebranding of all four casinos in Ohio and Detroit. With Gable’s help, the rebranding effort has been more than just changing names on signs. 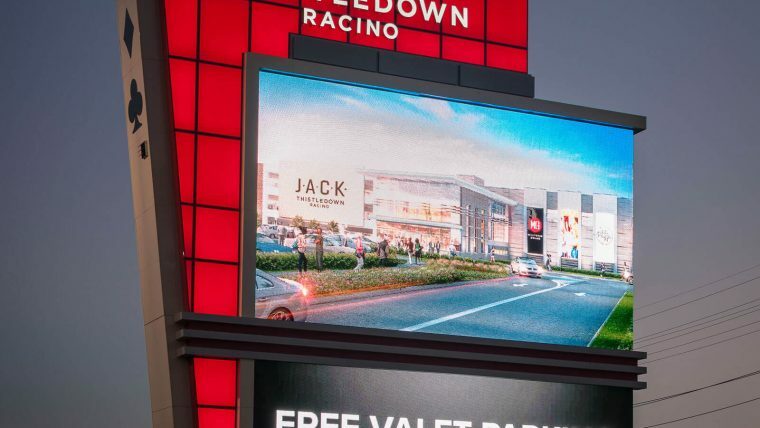 At each of the four properties, Gable has helped design and deliver hundreds of eye-catching signs, along with stunning visual solutions that more effectively catch the attention of people – from passersby outside the property, to the gamblers on the casino floor. Gable was contracted to design, engineer, and project manage the entire process. 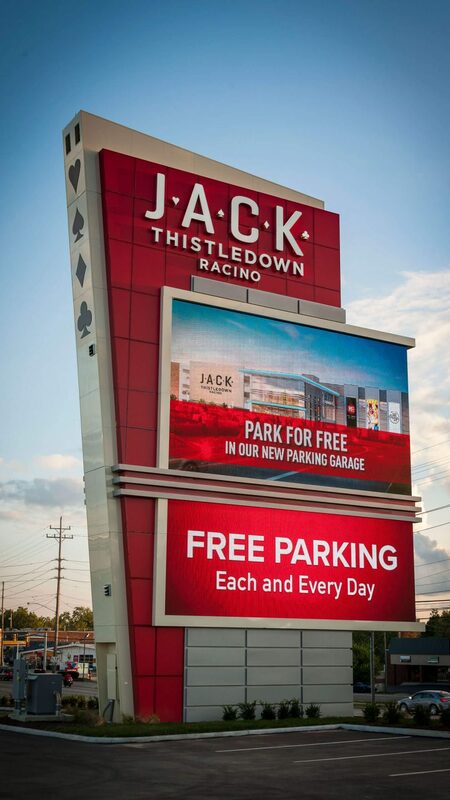 Along with Gable, the rebrand could not have happened without a vision from the JACK Entertainment staff and the help and significant contributions of local businesses and sign installation providers. A portion of the signs were manufactured in Ohio, and the challenging installation process was executed by a local Cleveland firm. About JACK Entertainment LLC: JACK Entertainment LLC, formerly Rock Gaming LLC, is a Detroit-based urban gaming company focused on the development of gaming facilities that are designed to maximize connectivity and economic impact in the local areas where they reside. 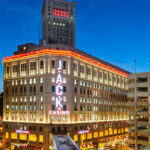 JACK and its affiliates‘ (“JACK”) portfolio of properties includes more than 13,000 gaming positions, 400,000-square-feet of gaming space, 600 hotel rooms, and 35 bars and restaurants. JACK is comprised of approximately 7,000 team members across four states and generates more than $1 billion in revenues. For more information, visit www.JACKEntertainment.com.